Nova Scotia (NS) was Canada’s foremost coal producer from 1827 until 1945. This coal, from mines in Cape Breton and the northern mainland, was responsible for the industrialization and urbanization of eastern Canada. The advent of steam power with the Industrial Revolution in Great Britain led to the early exploitation of Nova Scotia’s coal deposits. Mining first began as an industry with the coming of the General Mining Association (GMA) from Great Britain to Pictou County in 1827. This company created mines very near our museum site, and the town of Albion Mines (later Stellarton) grew up to service the industry and to accommodate the skilled miners who came with the company. The GMA ‘s operations soon expanded to Bridgeport and Sydney Mines in Cape Breton. When their monopoly ended in 1858, a number of other companies began to develop Nova Scotia’s rich seams. Activity focused on the coalfields of Springhill, Pictou and what became known as industrial Cape Breton. 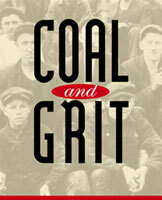 These communities became company towns, developed rich cultures, and suffered the hardships and labour unrest characteristic of the coal industry. Regionally, coal fuelled a growing domestic market, manufacturing, and the railroads and steamships that transported it. Expansion was rapid during the Reciprocity Treaty years (1854-1866), when most output was exported to the United States. After Confederation (1867), Nova Scotia coal made possible the building of a national railway. With the National Policy protecting Canadian unity and industries, mines thrived as they provided fuel for the growing population and factories in Quebec and Ontario, and to satisfy demand for metallurgical coke, especially from three modern steel mills in Nova Scotia. 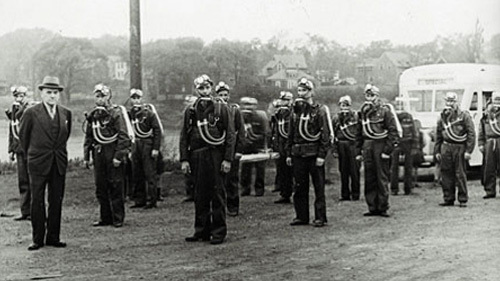 When World War I (1914-1918) broke out, three quarters of the coal burned in Canada came from Nova Scotia. Demand declined after 1918 as Ontario turned to cheaper American coal. Markets were further battered by the Depression. Production peaked during World War II (1939-1945) but afterwards, coal could not compete with oil, and our coal industry petered out. Today, only a few surface mines produce coal to generate electric power. Explore the history and stories behind Coal Mining, which for over a century, has run deep through the veins of Nova Scotia.